The group said in a statement that it was "working with experts to explore all options." 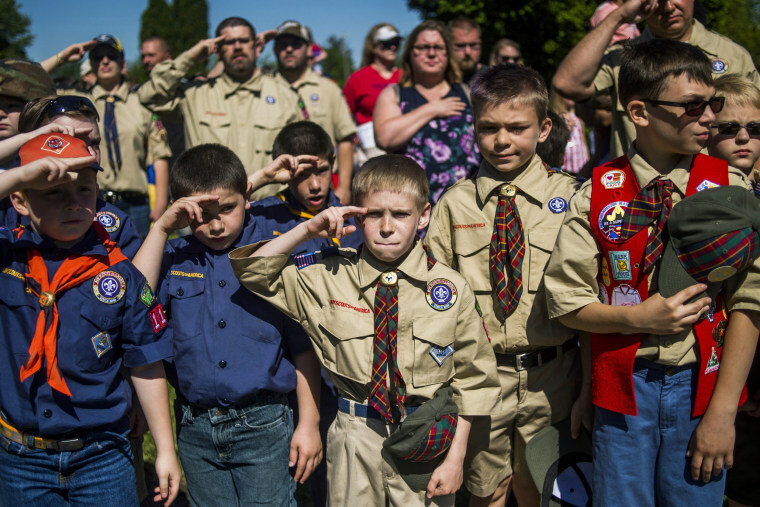 The Boy Scouts of America could be bound for bankruptcy. Facing mounting legal costs from defending itself against lawsuits alleging sexual abuse of boys, the venerable nonprofit organization is considering filing for Chapter 11 protection, The Wall Street Journal is reporting. Chief scout executive Michael Surbaugh also acknowledged in the statement that the BSA was grappling with legal costs from the lawsuits. “We have a social and moral responsibility to fairly compensate victims who suffered abuse during their time in Scouting, and we also have an obligation to carry out our mission to serve youth, families and local communities through our programs,” Surbaugh said in the statement. Founded in 1910 and long considered a bastion of traditional values, the BSA reported in its 2016 annual report that it has more than 1.26 million Cub Scouts, nearly 830,000 Boy Scouts, and some 960,000 adult volunteers. But the BSA has courted controversy by lifting its ban on openly gay members in 2014 and allowed openly gay adults to be scout leaders a year later. Then in 2017, the group allowed transgender boys in the ranks for the first time. That same year, the BSA announced it would allow girls to join the Cub Scouts, which had been exclusively for boys, and that it was setting up a program that would enable older girls to reach the coveted rank of Eagle Scout. In May of this year, the BSA announced it was changing the name of a Boy Scouts program for 11-year-olds to 17-year-olds to the more gender-neutral Scouts BSA starting in February 2019. That was apparently the last straw for the Mormons who announced they were ending a 105-year partnership with the BSA and starting their own youth program. And last month, the Girl Scouts of the United States of America sued the BSA for trademark infringement. If the BSA does file for bankruptcy, it would be making a move straight out of the playbook of the Roman Catholic church. Some 20 dioceses and religious groups have sought Chapter 11 protection while they negotiate settlements with thousands of victims. USA Gymnastics, which is facing a tsunami of lawsuits stemming from the Larry Nassar scandal, filed for bankruptcy earlier this month. By doing so, experts said the organization will be able to put on hold all litigation, including ongoing discovery and depositions of key figures.